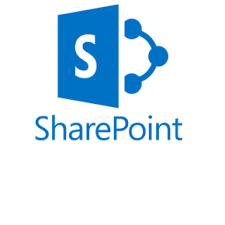 A new era has begun in collaborative working with the arrival of Microsoft SharePoint. This feature-rich platform is available as on-premises deployment and via cloud services. MS SharePoint has many cutting-edge features for collaboration, document sharing, and content management which can help organizations change their traditional ways of sharing files and exchanging public folders into a more robust platform. With the intervention of MS SharePoint, one can create intranet portals for information sharing, enterprise search, and content management in the organization. In addition, one can create custom views and combine MS SharePoint with MS Office for more effective content management and document sharing abilities. SharePoint can be used to provide extranet portals and public websites. It also improves coordination between employees and reduces collaboration costs considerably. Below are the key points to remember when considering sharepoint migration. It may not be a wise decision if the organization decides to migrate to SharePoint just because all other organizations are doing so. Before migration, advantages and limitations of SharePoint should be studied very well. Check first if this new platform is going to benefit the organization. To know more about SharePoint, one can gather information from Microsoft sites, expert articles, case studies e.t.c. It would be a great idea to consult or work with a SharePoint experts for a positive outcome when planning for your next migration. Decide on what the organization intents to achieve by moving to SharePoint. The infrastructure costs, return on investment, and future maintenance costs are some of the important factors that need to be considered before the migration. Decide on what suits best for the functioning of the organization—on-premises deployment or cloud service. It’s not necessary to move all the data to SharePoint. Ideally data that is required for collaboration only need to be migrated. Analyze the data and decide on how much of it needs to be moved to the SharePoint, and plan the SharePoint infrastructure/subscription accordingly. Unused and unwanted data can be archived or deleted before migration (according to the policy of the organization). Then, find out a strategy for the migration. Plan what to migrate, when to migrate, and how to migrate. Usually for large scale migrations, professional tools are employed. So learn about some tools and find the best one for your organization. SharePoint migration solutions like LepideMigrator for documents are available for free trial. Organizations migrating to SharePoint adopt various strategies. The first approach is to move the data in small chunks. The most required data will be moved first. Also, employees who are more open to changes will be allowed to use SharePoint in the beginning. Gradually all the data will be moved (in accordance with the requirement), and SharePoint will be exposed to all employees. In a second approach, SharePoint will be implemented, but the organization will be waiting for the employees to familiarize themselves with SharePoint. In this case, the organization will be shifting to SharePoint very slowly. Another method is to perform a quick data migration to SharePoint retaining the file servers and public folders in read-only mode. After editing the data users will have to save it in the SharePoint. So users will be compelled to move to SharePoint. SharePoint is totally a different platform with its own architecture, permission structure, some limits and boundaries. It does not support all file names and file types. There are limitations to file sizes too. Many illegal characters and end strings are not allowed in file names and URLs. Some file types (file extensions) are blocked by SharePoint. Naturally, data migration cannot be smooth unless you change all these. During the migration server down time or connectivity issues should also be anticipated. Performing the migration with limited resources and doing it without obstructing the office working hours are also challenges. Many professional migration solutions helps you conduct pre-migration analysis so as to foresee the SharePoint compatibility issues. Tools like LepideMigrator for Documents help you deal with low resources and working hour related issues. And at last, employees adaptation to SharePoint environment is also an issue for organizations migrating to SharePoint. SharePoint requires good collaboration habits and disciplined approach from users. So it is suggested to follow a well-planned methodology for everything that is performed in SharePoint. This will make SharePoint more clean and organized. Many administrators underestimate the potential of SharePoint. An organization is moving to SharePoint not just to replace file shares or public folders, but to take full advantage of its advanced collaboration and content management facilities. So, it is important to give users training so that they will be able to use the platform to its full potential. Absence of SharePoint awareness will lead to total mess in the SharePoint environment over time. Conclusively, MS SharePoint is such an attractive collaboration platform that many organizations rush to adopt. When one stops using the old platform and embraces a new one, many unexpected challenges may arise. In other to reduce unforeseen situations, careful planning and use of migration solutions like LepideMigrator for documents can help organizations fix most of such issues. Ajit Singh is a Manager – Marketing Operations with Lepide Software Pvt. Ltd. He is a positive person in every aspect of life and he believes, sharing ones expertise not only helps others in their professional endeavors but it makes the world a better place. Hope this is helpful and feel free to add your own suggestions and contributions.